Peter Conrad is Professor Emeritus of Sociology at Brandeis University. His work focuses on the sociology of health and illness, deviance, medicalization, new genetics, and the sociology of ADHD. 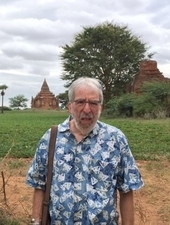 He has published over 100 articles and a dozen books, including The Medicalization of Society (2007), and most recently, coedited Global Perspectives on ADHD (2018). He received the Lee Founder’s Award from the Society for the Study of Social Problems (for lifetime contributions) and the Leo G. Reeder Award for “outstanding contributions to medical Sociology” from the Medical Sociology Section of the American Sociological Association.